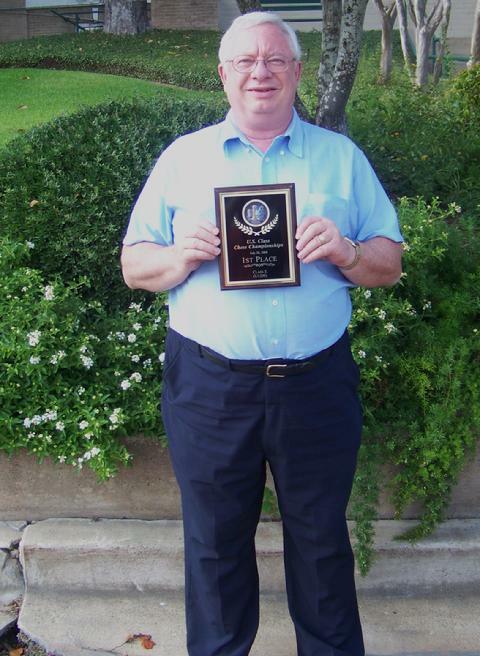 Local Chess Master Brings National Title Home to Texas, LIVINGSTON, July 31, 2008 - On <?xml:namespace prefix = st1 ns = "urn:schemas-microsoft-com:office:smarttags" />July 20, 2008, the United States Chess Federation held the 2008 U.S. Class Championships in Houston, Texas. This event is held once a year and chess players gather to compete to win the National Title in their class. This year a 60 year old Livingston, Texas resident, Robert Settles, won the National Title in Class E defeating a chess player from Dallas, Texas. Last year, a man from Missouri won. This was the first National Title Championship that Settles has won. He played last year in the 2007 Class Championships and placed 5th. So winning the class title this year was an advancement in his Tournament Career. The youngest player in the tournament was a girl (6 years old). The oldest player was 72. The player from the farthest distance was from California. The United States Chess Federation will record the Settles name in the Chess Records as the 2008 National Class Champion in his class. This achievement can not be taken away as there is only one Class Championship each year in the various sections. By Settles winning the Championship in his class this year, he will advance and compete in a higher class in 2009. The Championship results showing Settles being a National Title holder will also be published in an article (possibly next month) in the National Chess Life Magazine. Settles said it is a real honor to win the National Title in any section. Thousands of chess players compete each year in the USCF sanctioned tournaments in the hopes of advancing their rating in order to play in various divisions. The majority of the players never win a National Class Title. Players can advance from one class to another without having won the Class Title that they were in at the time. So it is a unique honor to even win one Class Title. Settles checked with one of the senior members of the Settles family and he said to his knowledge I am the first member of the family to achieve a National Title in any sports or game type activity. �I would be the only person the family could call a real National Champion� Settles said. �It probably would not pull much weight with the rest of the family except for them kidding about it� Robert says laughing. Settles started serious tournament play last year. He competed in 4 different tournaments last year playing a total of 22 chess games. These games were mostly Texas State Chess Tournaments. This year he decided not to play in any Texas State Tournaments. He almost decided not to play in the 2008 U. S. Class Championships this year but something kept telling him to enter and play. He did and he won. There were 193 chess players that competed in this Championship. There were 9 different sections of competition which included the Masters and Experts sections. There were 32 chess players that competed in the Class E section that Settles was in. After winning, Settles called his older son and told him of winning the National Title in his class. His son said he was proud of his dad but being one who likes to make jokes told his dad he was ��not aware they had a �senile� division in Tournament Chess�. Settles e-mailed former co-workers in Lubbock, Texas and they also advised Settles they were not aware of a �sympathy� division in Tournament Chess. You get the point. It may mean something in the chess world but at home it does not have that much pull. Settles said he is proud to have been living in Livingston, Texas when he won this title. Perhaps when the topic of chess comes up some of the locals in the know can say �We have a resident that claimed a National Chess Title living right here in Livingston�. �No matter what sport or hobby a person is involved in, it is a very special honor to win a National Title. It really is overwhelming to realize that in that small fraction of time on a given date in history, you did something better than anyone else in a certain event. I will always treasure my first National win and all of the wonderful kids and adults I have met and played on the road to this win. And, yes, I intend to compete in many more tournaments and hope for more National Title wins in the divisions I compete in� Settles said. There are many kids and adults that play chess all over the world. Many join local chess clubs or if in school they can join a school chess club. The majority of the chess players just want to play for fun and do not even think about entering Chess Tournaments. However, there are those kids and adults that love the game and they want to advance and learn to become better players. They have the desire to want to test their knowledge against other chess players having the same desires. This happens mostly at State and National Tournaments in the United States and in the World. �One of the first games I lost in my first State Tournament was to a 10 year old boy�, Settles said. �The second game I lost was to a 12 year old girl. I got depressed and figured I was not good enough to compete at this level of chess since even kids were able to beat me. I talked to some of the adult chess players and they told me most of these kids had played in many tournaments and even have chess coaches and knowledge from chess computers. They encouraged me not to drop out of playing in tournaments but to learn from my mistakes and get more experience playing in Tournaments. I swallowed my pride and took their advice. The more tournaments I played in I felt more at ease and more comfortable with the Tournament rules and playing chess using a chess clock. I was amazed at how many kids were playing chess and how good they were. One of the biggest shockers was meeting a 10 year old Grand Master. The Texas State Champion is only 17 and plays in the Masters Section�. �Although my dad has passed on, I am sure that he would be proud of this son that he took the time to teach the game of Chess when he was 14 years old. Though the years I continued to play friendly games of chess with others and managed to join a few Chess Clubs in various towns I lived in to play the locals�. �Unfortunately, I waited until I was 59 years old to have the courage to enter the world of Tournament Chess. I do wish I could have done this much much earlier in my life. I really missed out on a lot of really exciting tournaments�. If you would like to comment on this story, we'd love to hear from you. Your name will be listed with your comment when it's posted in the comment section.